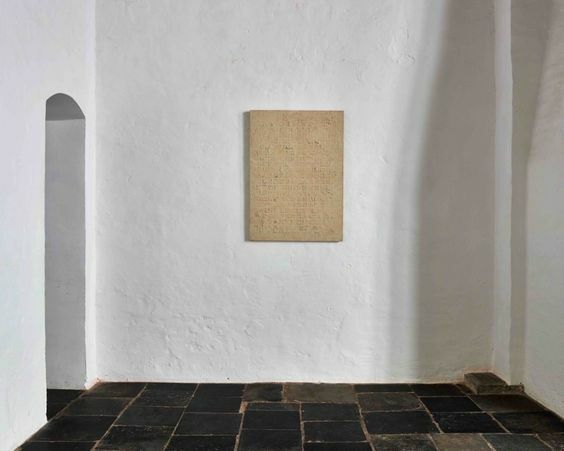 Clockwise from top left: Vincent Van Duysen, Axel Vervoordt, Atelier AM, Axel Vervoordt. 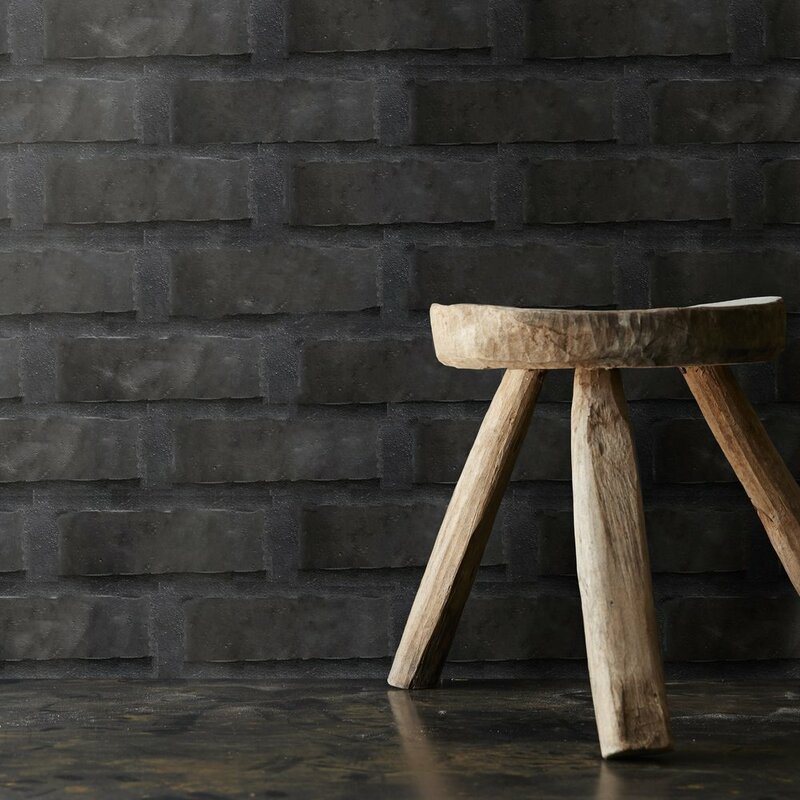 Inspired by Monique Gibson skillful use of dark elements in her live/work kitchen, I thought I’d highlight a material that can bring a similar dark-but warm feel to a space: bluestone. 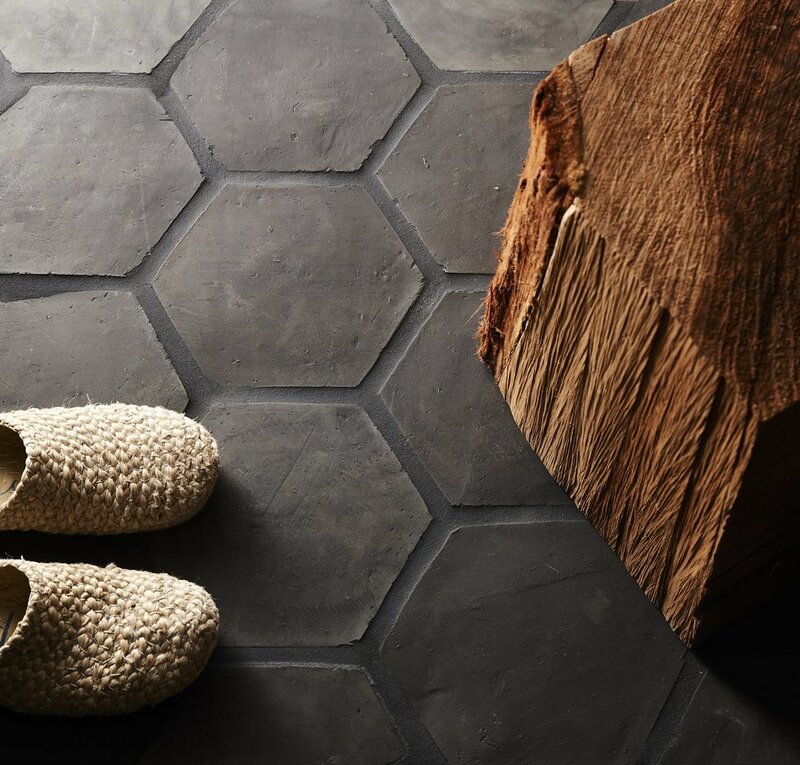 Belgian bluestone, and more economically-priced tile floors inspired by the material, add rich natural texture and a timeless look to a range of interiors, from modern to more traditional, depending on the style of stone selected. Here are a few options at a range of price points. 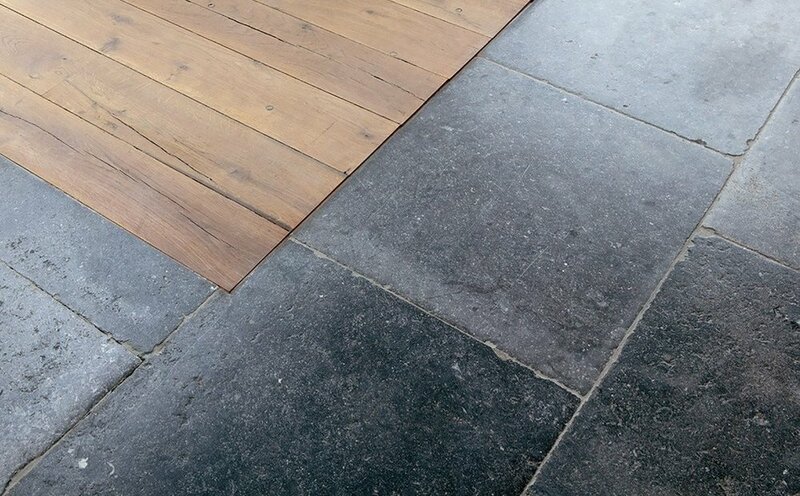 Reclaimed Antique Belgian Bluestone Pavers are the gold standard – 150+ years of foot traffic has given them a rich, blue-black finish and authentic aged appearance. 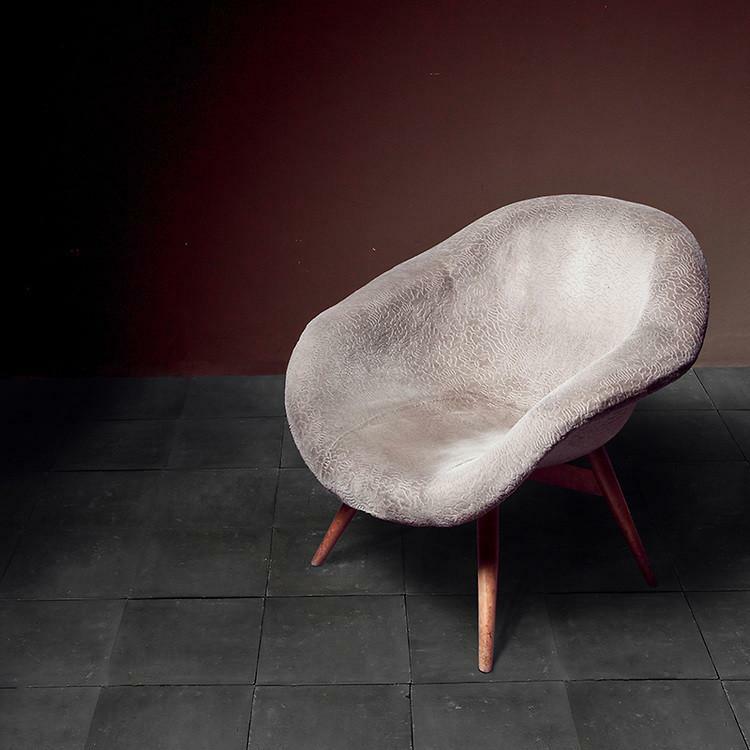 Offered by Historic Decorative Materials; price quoted by project. 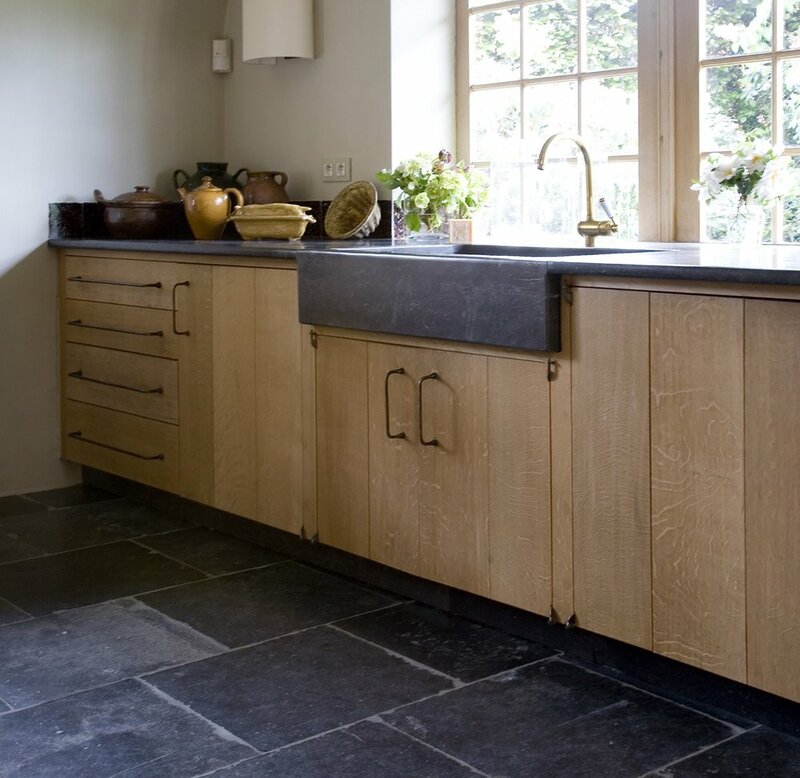 Historic Decorative Materials also offers precut 17th Century Antwerp Hand Finished Aged Belgian Bluestone; from $31.75/sq. ft.
8" x 8" Square; $18.50/sq. ft.
Square and Rectangle Bundle; $20.25/sq. ft.
2" x 8" Rectangle; $20/sq. 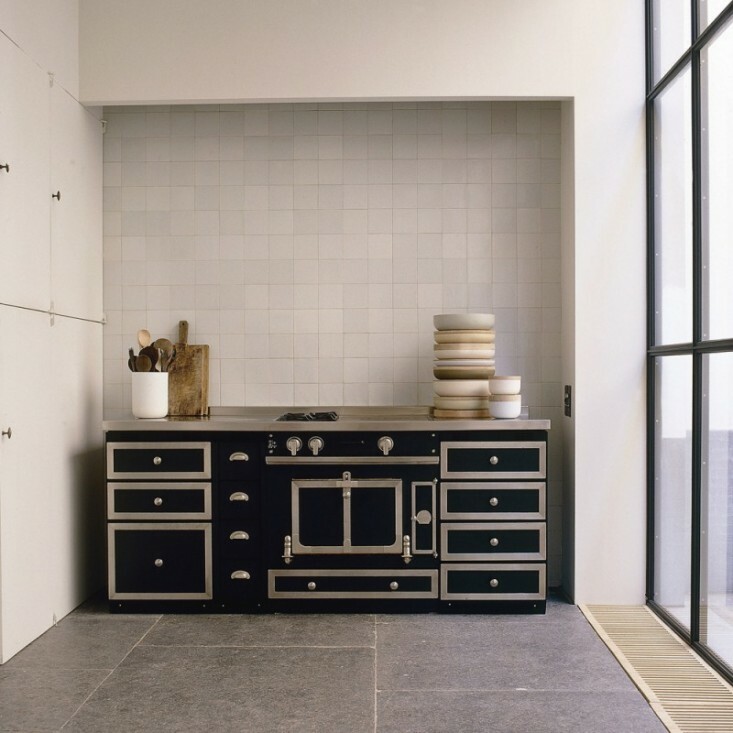 ft.
Precut slate tile provides similar texture and blue-black tone for much less $$. MSI's Montauk Black 12" x 24" Gauged Slate Floor Tile; $2.99/sq. ft.